150 pages | 67 B/W Illus. Although Muslims are now an important presence in Europe, little is known about the Muslim communities that exist in the Nordic and Baltic regions of Europe. 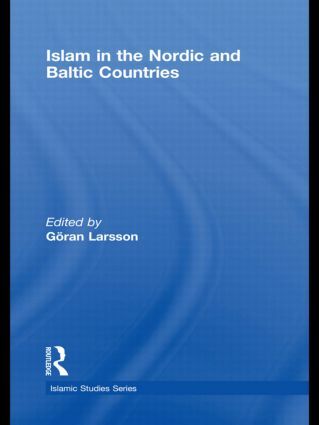 This is the first comprehensive and detailed study of the history, context and development of Islamic institutions and Muslim groups in Sweden, Norway, Denmark and Finland, and includes chapters on Islam in Estonia, Latvia, Lithuania, Iceland and the Faroe Islands. With contributions by academics with long experience of the Muslim communities in question based on original research, this volume presents new and important perspectives within a comparative and regional framework. Islam in Nordic and Baltic Countries will be an important reference work for students of European history and Islamology, and will be valuable to all researchers and scholars interested in the development of Islam and Muslim communities at the strategic heart of Northern Europe. Goran Larsson is a Lecturer on the History of Religions at Goteborg University, Sweden. He is also affiliated to the Linnaeus Centre for Research on Learning, Interaction and Mediated Communication in Contemporary Society, Sweden.